Purpose Specific Breeding and Dog Training Program *(S.M.A.R.T®), is designed to produce German Shepherd Dogs who possess superior genetic traits as a result of our Progeny Testing Process, as well as our Dog's Genotypical Markers and Blood-lines. These genetic traits consist of the necessary combinations of Prey, Pack and Defense Drives, that are required in order to produce Dogs of Proven Reliability. 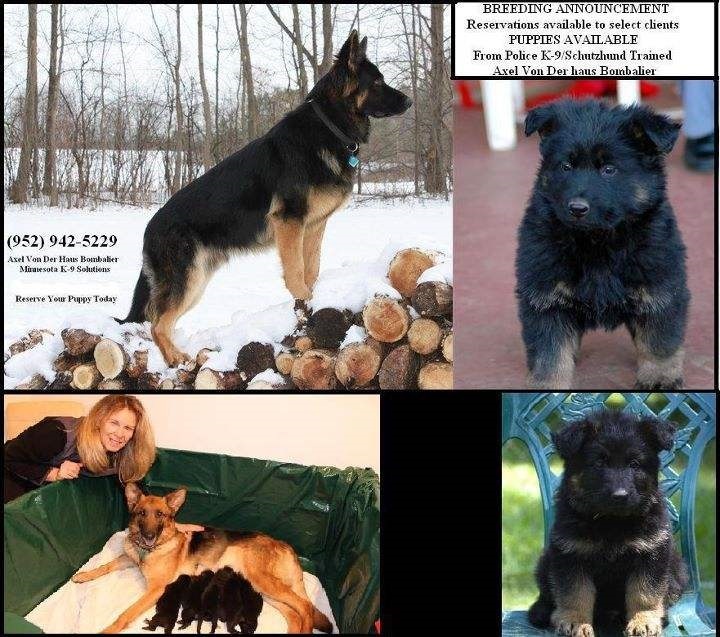 Our Breed-Type colors consists of Solid Black German Shepherds, and black and red bi-color puppies. Our Breed-Type patterns are almost always Blanket-Back or Saddle Back. Our Dogs have been selectively bred for temperament, performance, health, hardiness, longevity and anatomical fitness, with the goal to improve and advance the breed. Most importantly these dogs have been bred as superb companions for individuals and families. Whether you are searching for a pet as a companion, a protection dog, a professional grade law enforcement Patrol K-9, or a disability assistance dog, we can help you choose the correct puppy or adult dog to meet your needs. Our Dogs are bred and trained for families, individuals, and organizations to fulfill the following roles. Protection Companion Dogs are trained to protect you, your family, and property. Contrary to common misconceptions, they also offer companionship as a trusted friend. Protection Companion Dogs are trained to react only when commanded to by their owner. However, it should be understood that these dogs will react without command when the owner is threatened, or disabled and unable to command the dog. In essence, these are highly trained dogs conditioned to respond to elevated levels of violence perpetrated against their owners, yet are compatible with the enjoyment of life at all other times and demonstrate unconditional love and fidelity to their owners. Our German Shepherd Dogs are trained using a variety of established and proven methods. 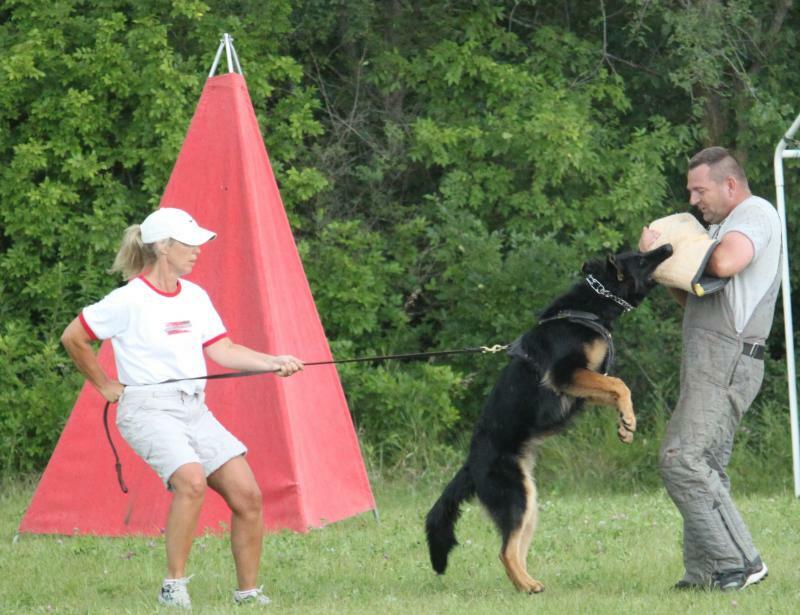 The foundation of our training is based on the Koehler Method of Dog Training. William Koehler is considered to be the founder of organized police K-9 training and published foundational literature in guard dog training. Mr. Koehler trained over 25,000 dogs, including dogs for the United States Army K-9 Corps and Disney Studios. Our training methods are used by law-enforcement agencies and the military. Protection Level training dogs are highly trained companions that have demonstrated advanced abilities to react to a real threat versus a non-threat. All of our dogs have been bred and trained by us here in Minnesota. All of our clients are carefully screened, evaluated and trained in order to insure the highest in public safety standards as well as to adequately match the right dog with it's owner/handler. 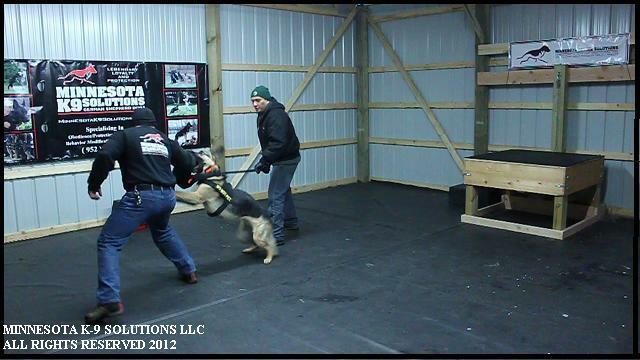 On occasion, Minnesota K-9 Solutions trains dogs for protection that have not been produced by our lines. If you are considering having your dog trained for personal protection, contact us to arrange for a temperament assessment of your dog. Now you and your family can experience the joy and the benefits that come with the peace of mind and security of owning a professionally trained German Shepherd Protection Companion. Alert with or without command at home and in public. Bark and show signs of Protective Aggression without biting. The dog uses his body as a barrier, thus providing the owner with a diversion and precious time to escape attacker. Alert with or without command while in vehicle. Residential Building Search, (dog will enter owner's home and search for intruders. Dog will return to owner if no intruder is present. Exposed to a variety of stimuli (gunshots), conditions, environments and terrain. Alert to, and pursue identified subject, upon exiting vehicle. Bite and Hold (bite attacker and hold until release command is given, on and off-leash). Trained to bite on multiple locations of the body. Trained to focus bite on weapon hand. Advanced Building Search (K-9 on command will enter a house, garage, office, warehouse etc, and search for subject. Exposed to a variety of stimuli (gunshots), conditions, terrain and environments. 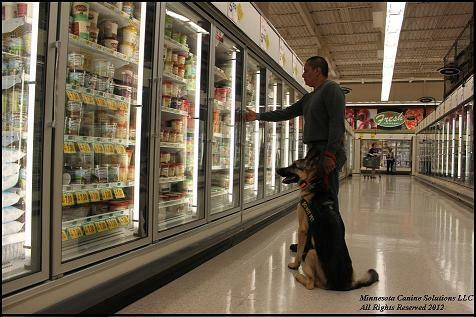 Purchasing a professionally trained K-9 Protection Companion Dog is a long-term investment and an important decision. There are several conditions, requirements and considerations which may be imposed in order for a prospective client to obtain one of our adult-dogs. During the consultation process, we can properly determine your specific needs and adequately inform you regarding a new addition of this caliber to your family. for a free no-obligation confidential consultation.